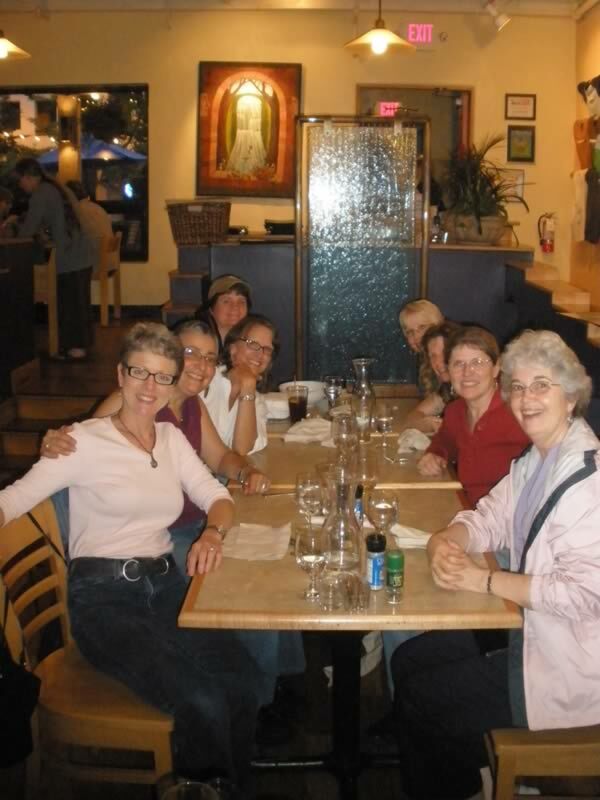 A weekend of shaping fun with some of my best training friends in beautiful Asheville, North Carolina, topped off by dinners at wonderful locally-owned restaurants with numerous delicious veggie options – what more could a training junkie ask for? Dining out at “The Laughing Seed” (guess what *that* is!) in Asheville. 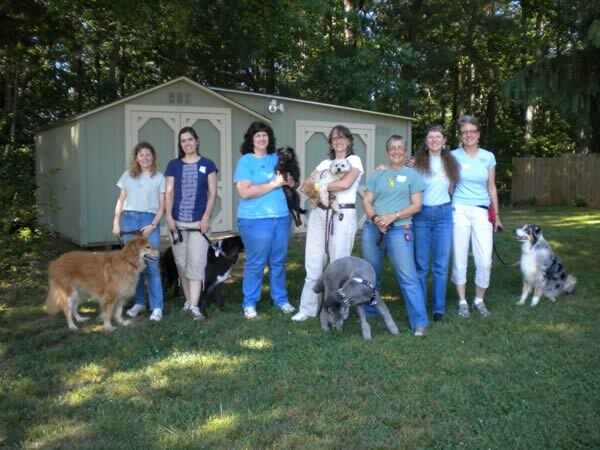 Huge thanks go to Lisa Waggoner of Cold Nose College (Murphy, NC) for hosting this event, and to Gail Hubbard and Susan Wilson for making their facility, A Good Dog’s Life available for the weekend. We had 18 working teams and another dozen observers. In addition to Lisa, the group included longtime training friends Beth Brock, Jenny Schneider, Tracey Schowalter, Viviane Arzoumanian, and AnneMarie Easton. We started with some foundation discussion and then set right off with “Body Parts” shaping, where participants selected a specific body part and shaped movement of that part – a turn of the head, a lift of the paw, a flick of the ear or tongue… the possibilities are endless. 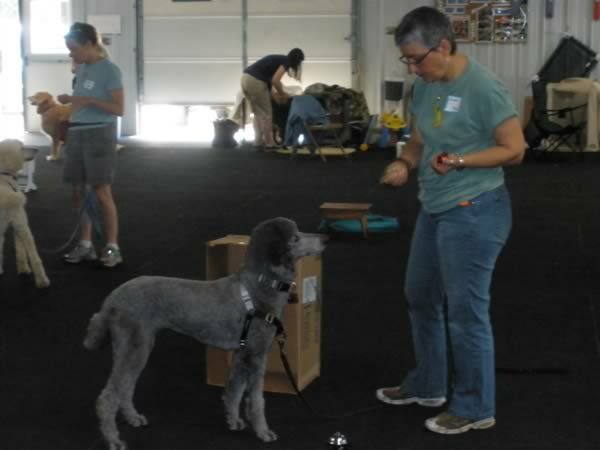 Tracey discovers that shaping a head turn can be a Zen exercise with Matsi, a dog who hadn’t yet learned to offer a lot of behavior! From there we moved to building behavior repertoire with free shaping, using the time-honored “101 Things to Do With a Box” and then “101 Things to Do With a Prop.” Props included a skateboard, doorbell, crate, cradle, book, a toy truck, and more. Following 101 Things, working teams selected a behavior goal to work toward using directed shaping. 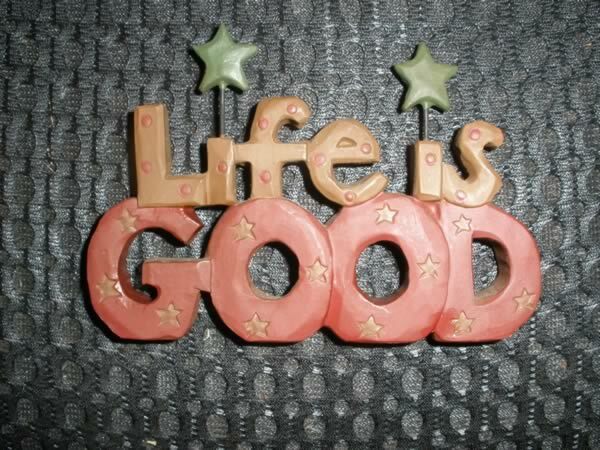 This often makes more sense to goal-oriented humans than the open-ended “101 Things” activity. We also started shaping “Go to Your Place.” A simple directed shaping exercise. It was a delight to see Viviane’s Pasha wake up to the fun of shaping. By end of day Sunday she rang the bell! Homework assignment for the evening was to write up a shaping plan for a specific behavior the attendee wanted to teach her dog, with the emphasis on splitting (breaking the selected behavior into very tiny steps) rather than lumping (making the mistake of trying to shape for too large pieces of behavior). Review of the plans on Sunday morning helped attendees identify their lumping tendencies. Beth Brock won the grand prize of a Peaceable Paws baseball cap for splitting into the most steps – her plan numbered 54 total steps. We returned to working sessions, starting with work on the plans the participants had written, with some teams making admirable progress toward their final behavior goals. 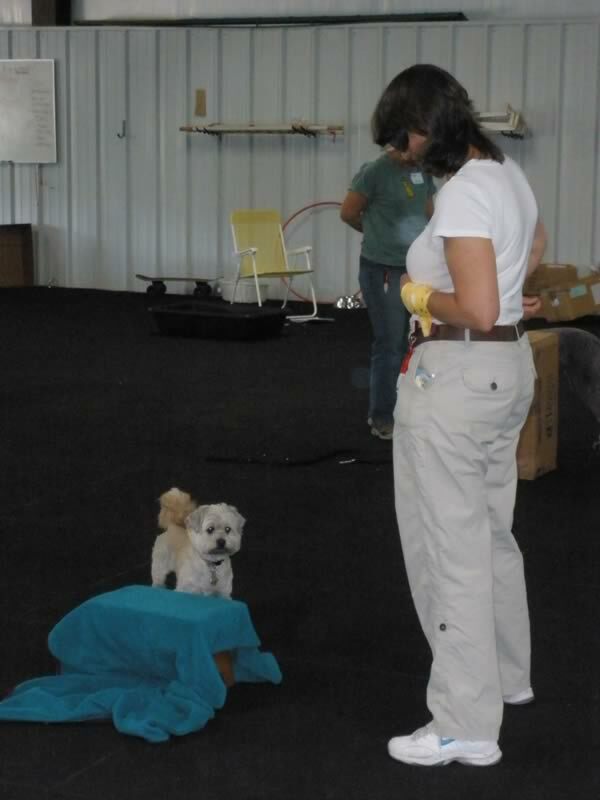 We ended the day with a “Shaping Show-Off” – where dogs and humans demonstrated their success with their shaping plan behavior, and one other behavior they had worked on for the weekend. Shaping Molly to rock the cradle. Beckie waits for a well-behaved (previously dog-reactive!) Josie to make a clickable move toward the doorbell. Jenny shapes a somewhat hesitant (but catching on!) Little Bit to get on the stool. 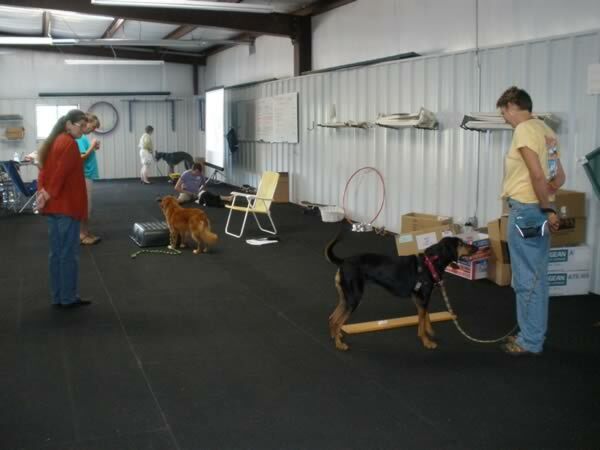 We applauded each others’ achievements, and dogs and humans were happily exhausted by the end of the day. This is by far my most favorite workshop to give. Because shaping is “errorless learning,” it’s almost impossible for participants to make rapid progress as they grasp the delightful fun of shaping. 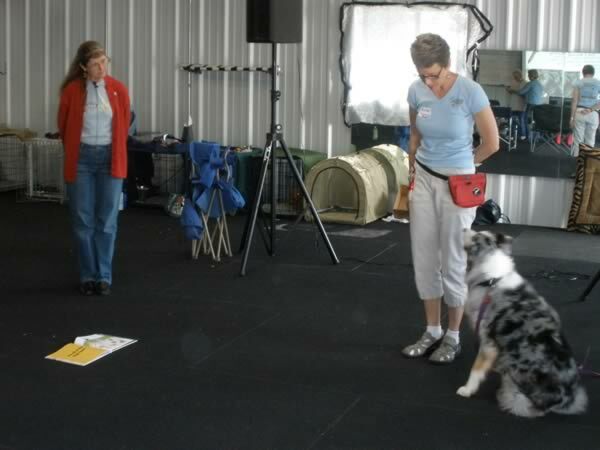 There is still room in the 2011 Peaceable Paws calendar if you’d like to host a Shaping Workshop in your town, or attend one here at PPaws in Fairplay, Maryland! And, if it’s possible, is it common? Are there certain factors that pre-dispose a dog towards full recovery? 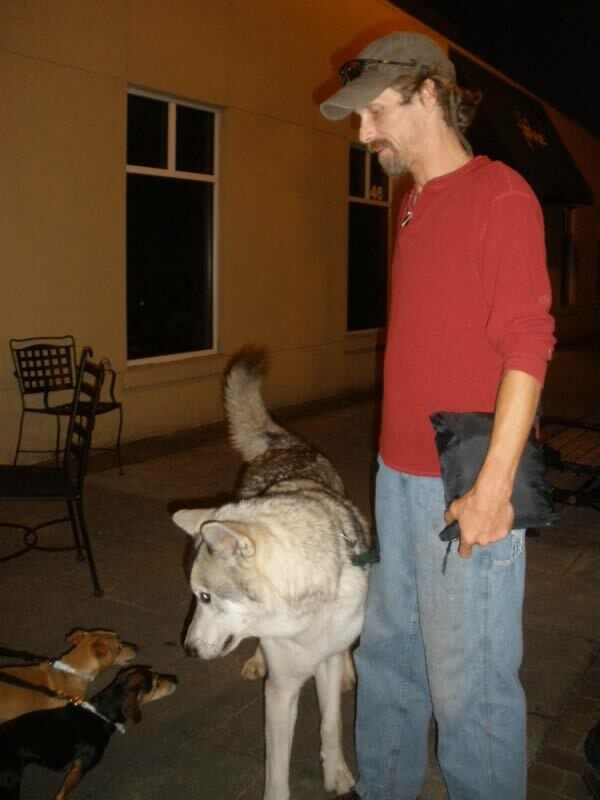 Would a dog like the one in your post still be prone to relapsing? 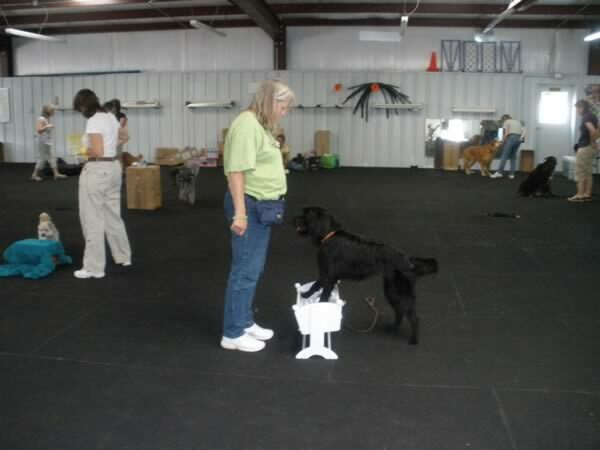 Hi Crystal – yes, I do think *some* dogs’ behavior can be modified to the point they are “normal.” It depends on a lot of factors, including the motivation for the reactivity, length of time practicing, and how strongly the behavior’s been reinforced. as well as genetic influence and owner skill and commitment to a modification program. I suspect Josie, in the blog, is well on her way to full recovery, and a number of my clients report a return to “normalcy” after doing modification work. Of course, that may all depend on how you define “normal.” Many dogs can be generally fine but still react if a dog approaches and invades space rudely. I don’t consider a defensive response to a rude invasion of space to be inappropriate. Such fun having you here in the southeast, Pat! Reading your post only makes me wish for more fun. We start a tricks class on 6/14 and we’ll be incorporating shaping into the curriculum. And, of course, it was a blast hanging out with my long time training buds and meeting so many new training friends. 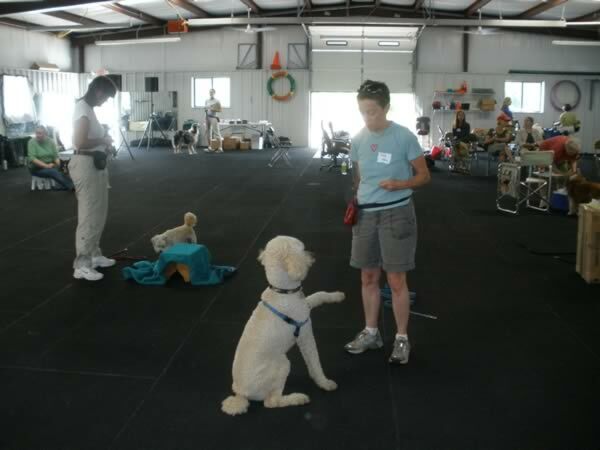 Will love to hear how your tricks class goes – those are so much fun to teach! I do hope that my dog can become “normal” but both I and our (very, very good) trainer think that Maisy has a genetic predisposition for fear… she’s a puppy mill dog, and had several instances of extreme fear and overly-reactive responses to environmental change as a three to four month old puppy, so it’s quite likely. I don’t think she’ll ever be normal (whatever that is), but I hope she has a chance to come close. She’s come a long way, and I love her to pieces. Even when dogs can’t completely recover, they can make a lot of progress in repairing damage done early, and with an understanding and caring human (as I know you are!) they can have a wonderful life. Good luck with your girl! LOVED the shaping workshop. I wish we could do it again soon. It was, indeed, a blast getting to hang out with some of my favorite folks and was over WAY too soon. I really sharpened my shaping skills and built my confidence in this workshop. Thanks so much, Pat! It was great to see you and work with you again, Tracey!